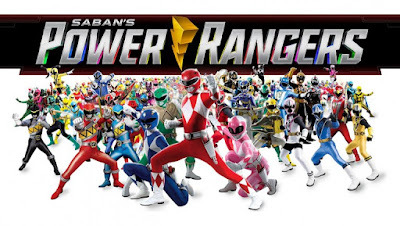 Following up on the news from this years Toyfair when it was announced that Hasbro has acquired the master toy license for the Power Rangers brand, this morning news of the outright purchase of Power Rangers by Hasbro. This isn't much of a surprise as the details of the intended purchase was released with the initial toy license announcement (though most fan news sites seemed to have forgotten). What is surprising is the turn around on the news, I was under the assumption that the deal wouldn't go through until next year. Which could be a misunderstanding on my behalf or the deal went through faster than initially reported. Considering some of the casting sheets for Beast Morphers has Hasbro listed in the producers section, there's no telling just how along the process was during the Toyfair reports. I'm very excited about this news as I've said before. Hasbro sings the songs I like to hear and having them produce Power Rangers is a very positive thing. I do wonder though if my theories involving Transformers obvious slow down is in part of this. Not because of resources, but the Transformers brand going through a bit of a shake up (diminishing returns, smaller lines). Maybe Power Rangers will be sort of a stop gap in that particular market (look, Transformers has slowed down before, it just seems more abrupt because of a decade of money printing movies). Either way I'm excited. I like Hasbro robots and action figures, so a line that utilizes both is a good thing. I see a lot of fans debating if this will mean potential crossovers with the brands. It could, I'm sure, but I foresee design technology and engineering benefiting from this more so than a fictional crossover.